The journey to Maccabiah Games gold for the USA was a long one. The program had won gold in 7s four years ago, but 15s gold had eluded them since 1997. 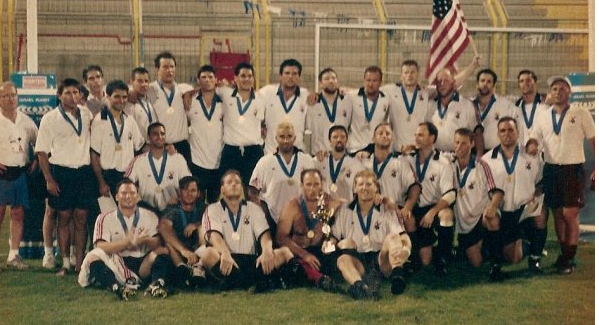 It was that year that Shawn Lipman made a game-saving tackle to help defeat South Africa, and Lipman was the Head Coach for this year's team, a team that defeated South Africa 31-21 to take the top prize in the rugby 15s competition at what is called the Jewish Olympics. 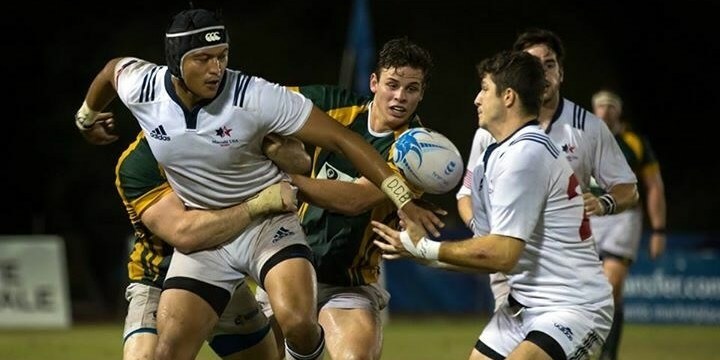 Jewish athletes in the USA and South Africa love rugby, and they have played a big role in international rugby at the highest levels (Zack Test, Shawn Lipman, Kevin Swiryn, Joel Stransky, Okey Geffin). But at the Maccabiah Games they get to showcase their skills and represent their country while also celebrating their religion and culture. It's a moving experience for many, and to experience it, and win, even more moving. 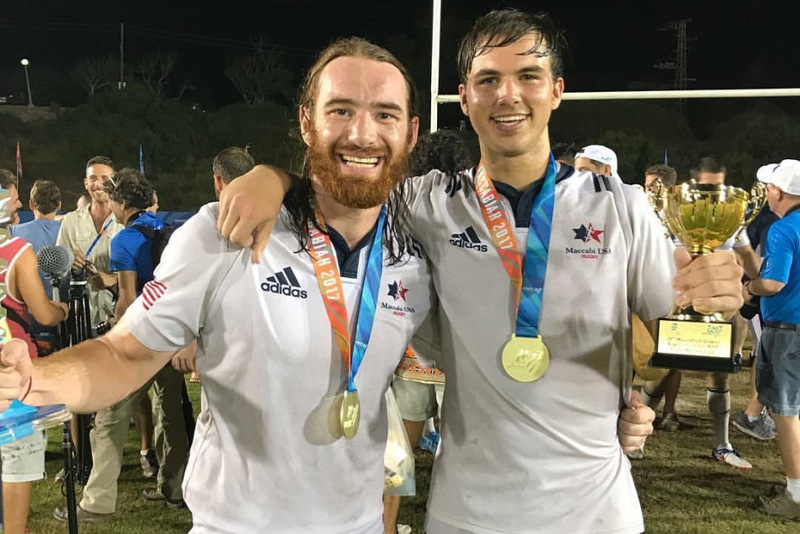 "There really are not enough words to describe the journey that we all have been on to accomplish this," said Lipman, who has seen the USA battle to silver and bronze in 15s over the past four Maccabiah Games rugby 15s competitions. "No one can ever know how tough this tournament is - four hard international-level matches in nine days, preceded by a two-day sevens tournament. The only way we could do this was with an absolute squad effort. "We could write a book on the journey that every one of our players traveled to get here and help us accomplish our goal. From Kevin Swiryn, our captain, and his journey through success and trials and tribulations, ACL injury before the last Olympics to his mercurial comeback attempt, to missing out and then reinjuring his knee His leadership to essentially end his carrier on his own terms and playing with a broken nose and his whole body wracked with pain and injury; to our 27th man Mike Korn, who in the greatest selfless act I have seen, voluntarily gave up his jersey to another player that was not selected, because he felt he would contribute more to the team on the field in the final. That player then went on to scoring the try that put us ahead in the game." Twenty years ago Lipman led the entire USA delegation, carrying the USA flag. This year, Test, an Olympian in 7s, carried the USA flag and Swiryn was a banner-carrier. Yet in the end it was the youngest player on the squad, Chase Schor Haskin, whose father had played in the Maccabiah Games himself, who was the MVP of the final. The USA team defeated a South Africa squad that had scored 150 points in the previous three games, while the Americans had won, but struggled each time. "But we were getting better each game in certain areas," said Lipman. "We followed the All Blacks Legacy principle, with the key one being no dickheads. We lived that and it showed that with a team of people selflessly dedicated to each other, anything could be possible. To beat South Africa we had to play with absolute organized defense and with grit, determination, and heart. We beat every team to win it all. Our boys were willing to die for each other and our country." The match itself was physical and demanding, as you'd expect. Because of the tight window for the four games, teams were allowed to rotate subs, which was crucial. But tey were still limited to a 26-man roster (hence Mike Korn stepping down to allow another player to play). The USA needed to control turnovers and not give South Africa's vaunted offense a chance to run rampant. And that's what happened. The USA's relentless defense frustrated the South African team, and the USA led 12-8 at halftime. Quickly South Africa scored in the second half to take a 15-12 lead, but the USA replied to retake the lead 19-15. Once again, South Africa scored a try to lead 21-19. But at that point the Americans redoubled their defensive efforts. With Test and Pete Sickle monitoring players and making sure the right subs were coming in, and with Swiryn's super-human effort, they kept the effort up. Swiryn was taken off with a broken nose, had the offending appendage snapped back into place, and went back onto the field. Then the breakthrough came. Korn's replacement went over for a 24-21 USA lead with five minutes to go. Lipman said those five minutes were the longest of his life. South Africa put everything into scoring what would likely be the game-winner. But the USA defense held, and eventually won a penalty. Deep in their own end, they tapped and took South Africa a little by surprise. (You could see Swiryn's influence in that decision, for sure.) Joey Krassenstein broke through for 60 meters, but was hauled down just short of the line. The support swarmed in, and Mikey Rudzinsky eventually picked the ball up and drove over to score and seal the match. Chance Doyle, the USA vice-captain, took home the MVP of the tournament, and Haskin the MVP of the final. But clearly it was something more. 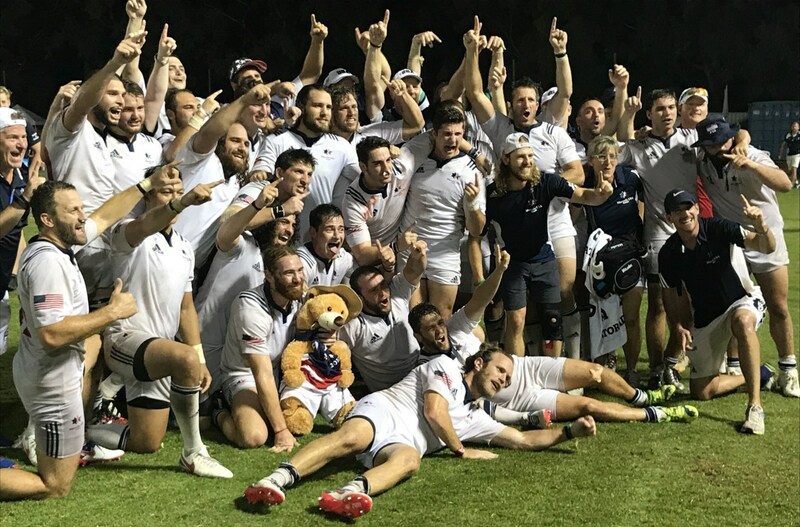 The organizational and coaching and personal effort to make this work is a testament to the game in the USA, and it's a victory for every USA rugby player.